Summer is a time for vacations, taking it easy, and rediscovering simple pleasures. 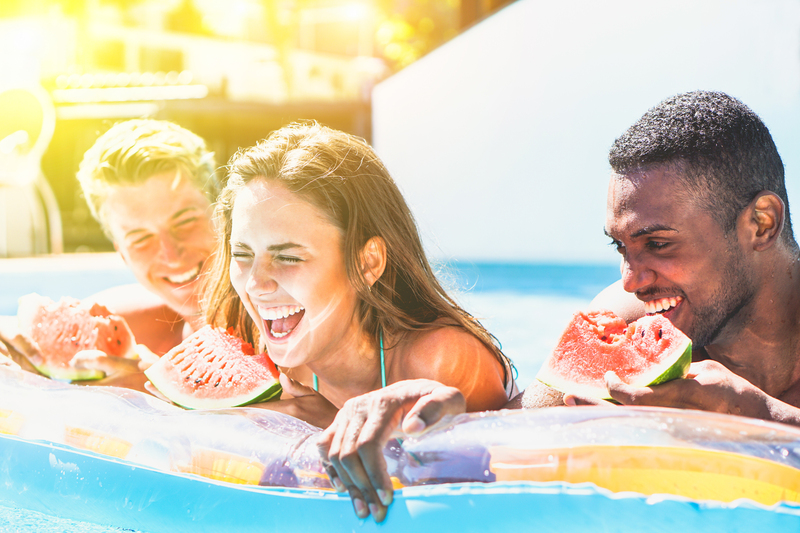 Head into summer with our favorite ways to make it fun and memorable. Start off your summer by planning your next great adventure. If youre looking for hot deals before theyre gone, we suggest using Sky Scanner, a free tool that helps you to get price alerts on all of your top destinations. Next, avoid the summertime blues and find ways to take it easy. One of the best ways to relax is to put away or mute all electronic devices, and only use them for absolute necessities. After powering off, power up to explore the outdoors, meet with friends for coffee, or go to the farmers market. Finally, were all about simple summer pleasures  fresh-squeezed lemonade, an afternoon by our pool, or trying out new summertime grilling recipes. Enjoy these fun little experiences before the time slips away!